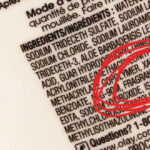 Cosmetic Ingredient Review (CIR) safety assessments are failing the public, environmental health and manufacturers. Ensuring the safety and health of cosmetic products is vitally important. From personal health impacts to down-the-drain effects on our environment, citizens are increasingly concerned about the products they use. Currently, the responsibility for the safety of these products is in the hands of the cosmetics manufacturers themselves. While manufacturers are required by law to ensure the safety of their products, clear standards for demonstrating safety are woefully lacking. Therefore, establishing an enforceable mechanism or process by which cosmetic manufacturers can demonstrate and substantiate the safety of the ingredients they use is imperative. It has been proposed that safety assessments conducted by the Cosmetic Ingredient Review are sufficient to meet this need. 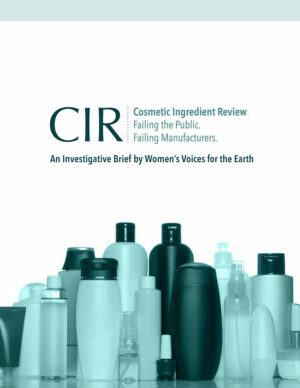 In this report, we outline four key reasons why reliance on the Cosmetic Ingredient Review (CIR) to assess the safety is inadequate: inherent conflict of interest, a narrow operating scope which excludes major concerns for workers and the environment, overly broad conclusions on inhalation standards, and inadequate assessment of data gaps. We provide examples of previous failures of the CIR to fully substantiate the safety of cosmetic ingredients. Finally, we conclude that reliance on the CIR assessments to determine safety could lead manufacturers to use cosmetic ingredients which are in fact unsafe and make recommendations for an alternative system. The CIR is organized, managed and paid for by the Personal Care Products Council (PCPC), the largest trade association for cosmetics manufacturers in the United States. The PCPC, and its member companies have a distinct financial interest in establishing and promoting the safety of the ingredients they are already using. Both the PCPC and member companies engage in efforts to defend the safety of controversial cosmetic ingredients such as talc and cocamide DEA. The CIR has not published safety assessments containing conclusions which conflict with these efforts, despite the availability of research linking these ingredients to significant harm. CIR safety determinations do not assess a full range of potential health and environmental outcomes. The CIR’s scope is narrowly defined to only include assessing harm to human health from consumer use of cosmetics. Following the safety determinations of the CIR (without any further assessment) leaves a manufacturer vulnerable to using ingredients that harm the environment and/or would be hazardous to use in workplaces such as beauty salons. 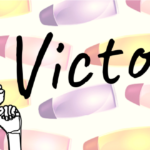 In addressing inhalation hazards of cosmetic sprays and powders, the CIR relies heavily on boilerplate language which inaccurately claims that cosmetic products are rarely if ever inhaled deeply enough to result in respiratory damage. This language is used commonly in CIR safety assessments despite the presentation of contradictory data indicating respiratory harm. Adherence to CIR safety conclusions that dismiss this important data can lead to the manufacture of cosmetic sprays and powders that may cause lung damage in users. The CIR frequently ignores the lack of data that exist on cosmetic chemicals, assuring their safety despite the scientific ignorance of the potential effects. Assuming no data means there is no harm can lead to safety determinations that significantly underestimate the risks posed by a cosmetic ingredient.